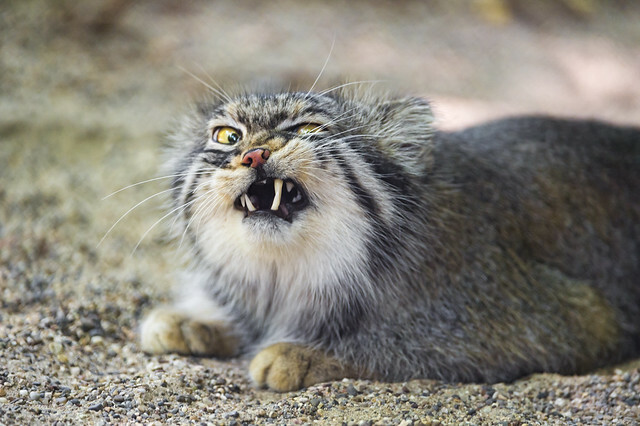 Pallas cat looking angry | Flickr - Photo Sharing! cerdsp, zenseas, Marceloss975.com, and 71 other people added this photo to their favorites. LOL. I love this shot! I also love the Pallas cat! They really are comical looking cats...great series! !